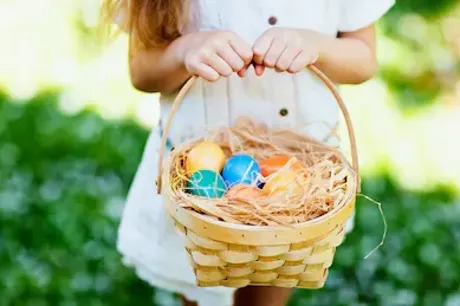 Easter, this year, falls on Sunday, April 2019, so get ready to find the eggs the Bunny has been hiding all over Orlando area. 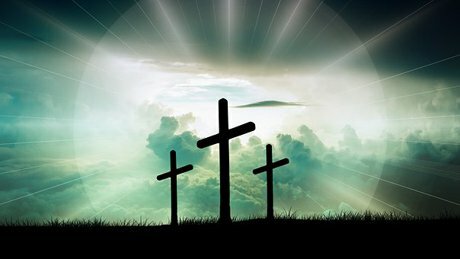 Here is a list of fun egg hunts, special events and sunrise service worship events throughout the greater Orlando community. Enjoy arts and crafts, face painting and bounce houses at the Jim Beech Recreation Center. This is a free family-friendly event hosted by Z88.3. The Annual Sanford Christian Sunrise Worship Service to celebrate the resurrection of our Lord and Savior Jesus Christ. This is an open-air lake-side ecumenical worship service in the park. The service will be lead by several pastors all from different churches in Sanford. Limited seating will be provided. It is recommended that you being lawn chairs or a blanket. The wearing of jackets is advisable because there is often a breeze coming from the lake. Children are welcome to attend with their parents. In a recent article from © 2019 The Seattle Times, Mike Rosenberg. 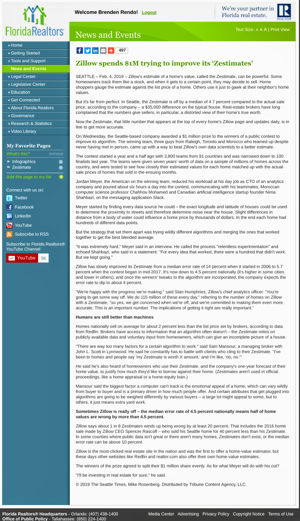 Distributed by Tribune Content Agency, LLC., they discuss how the inaccuracy of Zestimate is forcing Zillow to rebuild its system. Mortgage rates may not be quite as low as they were on January 31st, but they nonetheless managed to end at the lowest levels of this week. Unlike January 31st, we can still say we're at the lowest levels in more than a year (yesterday was the first official day for that distinction). Are you starting to make plans going into the New Year? Is spending more time with the family on the list? This is a great event that checks both of those boxes! 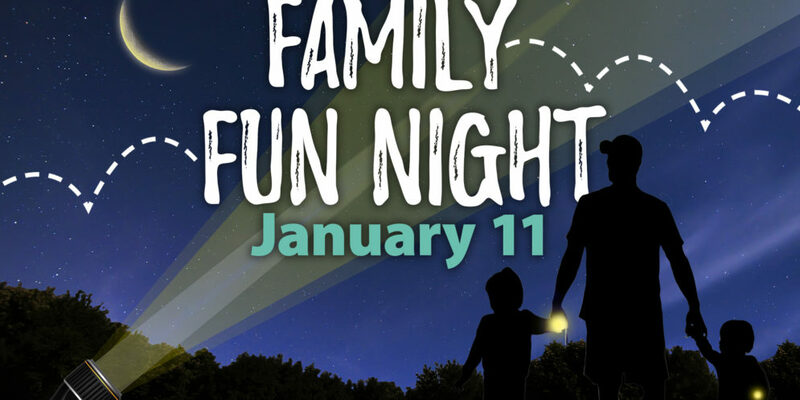 Leu Gardens is having a Family Night on Jan 11th 2019! Let's get back to Nature and have fun outdoors! Night hike the beautiful 50 acre gardens that Leu Gardens has to offer. Along with hike, they will have learning stations, a bug house, craft station with SuperAwesomeCool Pottery, The Central Florida Zoo's Nocturnal Animals on display as well as telescopes from The Central Florida Astronomical Society! Whew!!! What an evening to build memories! Click on the link below for more information on the event as well as the membership page if you are also interested in becoming a member! Going Green for the Holidays isn't just Garland, Christmas Trees or decorations. It can also be an alternative to look how you can reuse all the waste that gets accumulated during the holiday season. From throwing out leftovers, wrapping paper and etc, we all tend to waste a lot during this time of year. 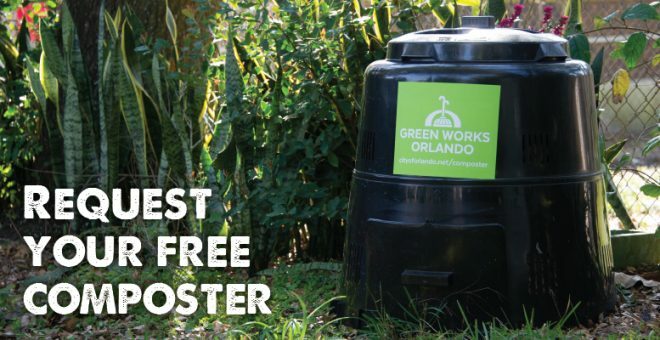 But did you know that certain cities like the City of Orlando offer a Free program, where they will give you a composter! 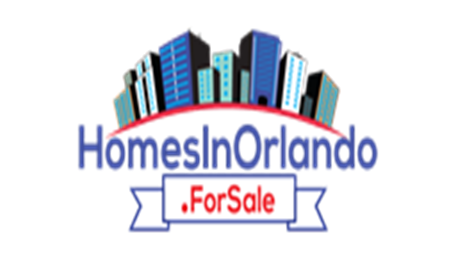 If you live in the City of Orlando and are interested, you can Click Here For More Info. Composting is turning waste, like kitchen scraps into usable soil through natural decomposition. What goes in the composter? What not to put in your composter? Meat, bones, fats or grease, milk, diseased plants, toxic materials, cat or dog waste. We hope this holiday season is filled with memories and new traditions, maybe even composting!! 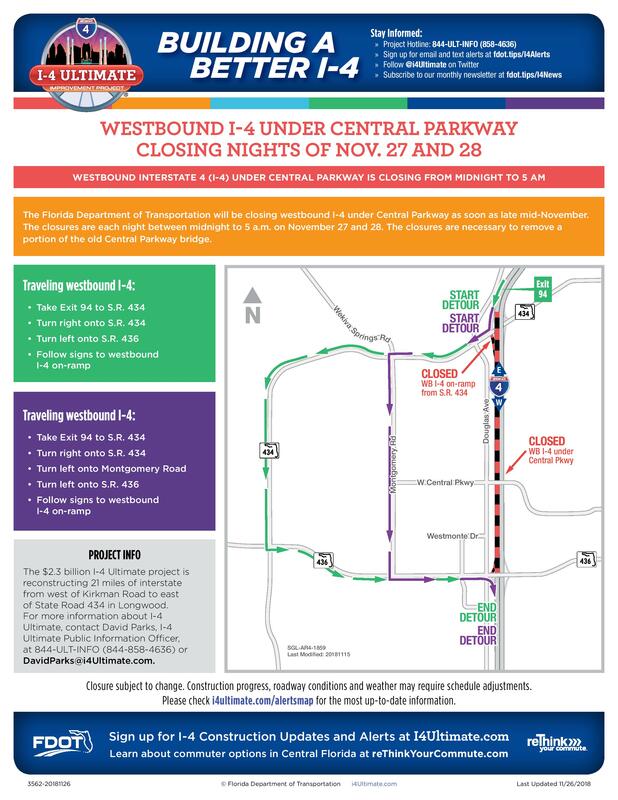 The Florida Department of Transportation will be closing westbound I-4 under Central Parkway as soon as late mid-November. The closures are each night between midnight to 5 a.m. on November 27 and 28. The closures are necessary to remove a portion of the old Central Parkway bridge. Come sing and dance with everyone’s favorite local musician, Mr Richard! Then hop on Santa’s lap to tell him your wish list, plus each family will get a FREE photo! 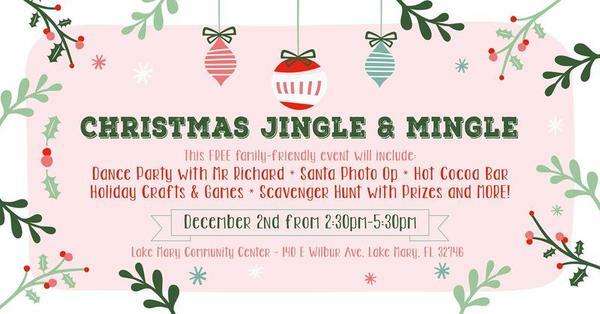 Kids of all ages will love the different holiday crafts and games, while the parents get a jumpstart on holiday shopping from lots of local handmade and mama-run businesses! If all this fun works up an appetite, stop by our complimentary hot cocoa bar or check out the yumminess our talented mamas will be offering! There’s a lot going on, but make sure you don’t miss the scavenger hunt to win great prizes from our fabulous mometrepreneurs! Consider it our early Christmas present to you! •No watering allowed between 10:00am - 4:00pm any day of the week. •Residents with odd street addresses water on Saturday. •Residents with even street addresses water on Sunday. 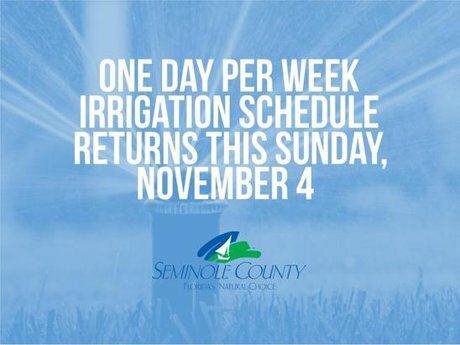 •Reclaimed water customers will follow the daylight saving time schedule of twice a week year round. •Non-Residential customers irrigate on Tuesdays unless using reclaimed water, then they may water twice a week. For more information on ways to save money and water, please visit www.seminolecountyfl.gov/envsrvs/ and click on Water Conservation on the left hand menu, or call (407) 665-2121. The program offered through Florida Housing Corporation offer down payment and closing cost assistance utilizing a second mortgage loan to assist homebuyers with closing cost and down payments. The repayment of the 2nd mortgage is derferred, except if the homeowner sells, transfers, or refinancing of the property at which time the loan becomes payable in full. years; and plan to occupy the home as their primary residence. Applicant(s) must have a minimum fico mid-score GREATER than 640.
and may be subject to the applicable FHA/ VA limits. Up to $7,500 is available in Down-Payment Assistance (DPA) and/or Closing Costs Assistance. repayment of the total DPA loan amount is required. overcome and come in with a stronger offer. it. Now this program is available where? itself has a little bit of a difference. USDA and VA loans, correct? That's correct. USDA again is another 100% program. that is another 100% program. of all that's pretty amazing. those that's what we're concentrating on. the yearly of $63,900 dollars. County. Volusia, it's a little bit lower? Volusia County, Deland, Debary, Orange City. interest rate is actually 0%. Correct. There's no interest. So you never pay any interest on that home? part of your closing cost later on. your eligibility for this program. Are there any points that we're missing right now? 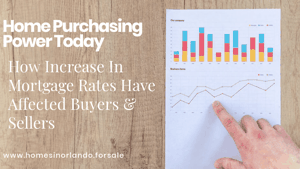 and this is the Orlando Real Estate Buzz. Dionne, of Home 1st Lending. for people out there on the market today. was sitting right around 4%. - 4% is really good. - That's a nice range. and looked all this history. we were averaging about 11%. 1/2, you're, okay, no big deal. about web searches a little bit later. kind of a little bit softer? I gotta find a lower rate." "Oh, that rates too high." like this is really high!" you know, seven, eight years ago. between six and seven percent. we had the good old liar ones back then. - (mumbling words), no more to those. kind of a mental shock. 4.75%, on a conventional loan. conventional is a little bit bigger. - (mumbles) strung a lock. to look at, is what is has this done? purchasing power, as a buyer? But also, what has it done as a seller? do I have my house priced right now? this increase in interest rates. You've got to look at these things. as far as purchase price allowance. as real as possible, right? for someone in Central Florida is $62,000. - It's 62 and some change. You make $62,000 a year. we all have expenses too, right? - I'm sorry, no, no. - We'll list it there, first off, car. applications have a car payment. but you don't have an expensive car. your payment's 375 a month. $62,000 a year job you have. is kind of a nice square. - Not a lot, yeah. and you're paying $75.00 a month on that. and that's $50.00 a month. - We've got not too much. That's about what I see 90% of the time. - Pretty basic, kind of cost. but this is just a great example. at a 4% interest rate. saying maximum debt to income. we can get all the way up to 49.999. We have a standard 50%. so we'll say they have a 720 credit score. which would be $15,000.00 you know. - Alright, so what does that look like? for a principal and an interest payment. - The TI, too yes. - You know, so you write interest. 120 a month sounds pretty reasonable. - Yeah, that's sounds reasonable. Let's just a your, your taxes are 300.
missing one piece on this. You only put 5% down. They give you this number. so you go, I can buy a $300,000.00 house. - I kind of like their Z estimate. - I don't know (mumbles). _ You're pretty much maxed out right here. You're not going any higher. we have to evaluate, too. - So this is 4%, so we can't go 4% today. We can get it back in January remember. so let's say I'm super, super picky. And I just couldn't find what I liked. - So what is, what is $275,000.00. but, what is that gonna do nowadays? seven months time, you lost 25,000. - It's actually by where I live. And they're a little bit older homes. Starting now between 350 and $400,000.00. had to bring it down. the 30 second sound bite. as going beyond the economy. They put out a monthly (mumbles). - That's a great (mumbles). - Yeah, it sounds great for long term. But let's look at the other numbers. So you're getting conflicting information. "that are sitting on there." - What they're actually willing to pay. all you see is the final list price. and any, and any price reductions. No hits, well let's drop it to 375. Let's drop it to $350,000.00. Oh, fantastic, we sold it for $349,000.00. at 99.9% of the listing. - This of the current list price. It's not the real number. until July of next year. I pulled just for Seminole County. - Not (mumbles) just Seminole. median price, you think has gone up. - You said, it said 75 was what we saw. - Yeah, so we (mumbles). Median price is actually stabilized. - May was when this piece. - Started to pop up. and it goes up a little bit. February, March, April, and May (mumbles). - We could've spiked, yeah. you know, banks are being greedy at all. actually not good at all. Like it was great for our wallets. - For a time card. - To the housing project. So those days are over. We've got the normalized rates. May we were at $233,000.00 median. So these are the median original prices. - Can I ask some questions? Well here's a very interesting thing. 'cause I am a geek. you would realize I am a geek. but I'll tell you I did. for web traffic looks like this. - So this is now. for the real estate market. start their home search on the web. is I watch the web tracker. based on the web tracker. Well, this is now July. in Orlando that are locally based. So, again, here it is. Matches up to these numbers. versus the sales price median. to where they actually sold for. - So this was sitting at 224 median. Median actual sales price was 190,000.
what happens in a slower market? we're at, we're at July. - Is it because of the price better? - To me it's a couple things. the median has come down just a hair. "Hey, I can't overprice the houses. "to what I'm looking for." What the real true value of the house is. - So we can't dream too big. these you got it a look at these things. you wanna know this type of stuff. Let's take a subdivision in Sweet Water. in the past two months? within that, within that subdivision? even though the inventory is still tight. because if you sell a house, right? have to do after that? as you went through this, right? you know, on your purchasing power. So you really lost 59,000. You gotta go to the camera first. - Oh, sure yeah (mumbles). best value for your client. "you've got the nicest yard. - You know, comparables are comparables. but the Kaughs have granite. it was worth this much." I think it was for $357,000.00. 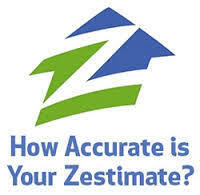 You know the Z-estimate changed to? And again, details, you wanna have fun? and look at their numbers. On average, they're off 5%. on what the real value of your house is. And this is only for 40% of the market. - Two miles to be exact. - Two miles and they average them out. They can't do it that way. - Once a (mumbles) neighborhood. - Yes, a move up. - There you go, neighborhood. it's not stopping right there. - Four more or three more. gives banks to borrow money overnight. - We're gonna be around five. should be at five and a half to six. we haven't seen in years. on all interest rates is gone this way. the US is the only booming economy. market go, go, go, go up. It's gone up a lot, don't get me wrong. "I'll take you to lunch tomorrow." Like I can't even talk to 'em anymore. they done all these things. They tightened up how we underwrite. a year ago, it is was 45%. and they can go, "Hey,"
don't like that as much." - Oh, we got a 745, 720, and a 650. Oh we get to take the middle one. Now we take that 650 into consideration. that one so much lower? - We, we needed it. up to help stabilize the market. Is what we really needed. - And it's because the see opportunity. - Where the economy is stagnant. who went through that housing crisis. - You know, people who lost their homes. again and they're a little bit nervous. renting is better than owning. And long term, I still don't see that. You know, I don't see it. saw what happened to their parents. "Well, my parents went through this." the end of their means. They saw what happened to their parents. - So a payments (mumbles) for. It's Joseph Dionne with Home 1st Lending. hope we taught you something.